Producing the brilliantly retro Sixties dials. 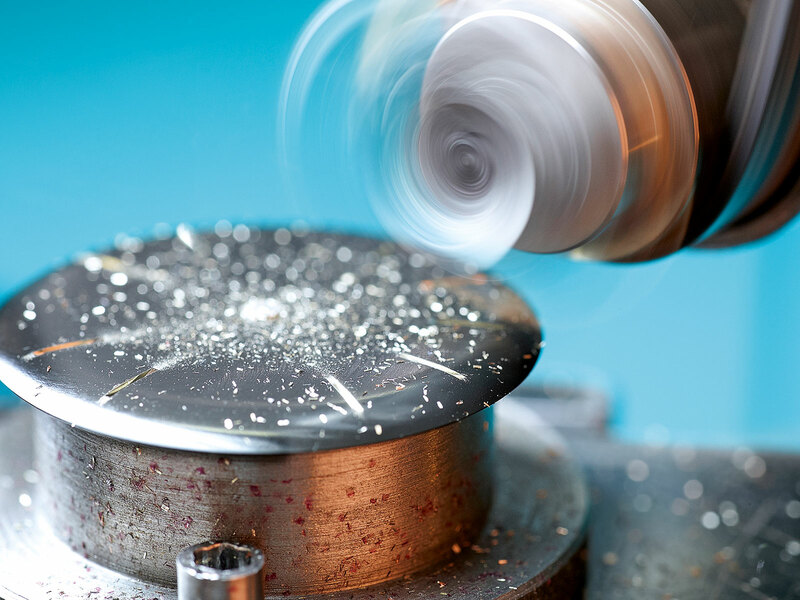 Watchmakers don’t often detail production processes, especially those regarded as proprietary. That’s often unfounded paranoia, since there are only so many ways to produce a watch (or a hairspring or a balance wheel). So Glashütte Original’s latest bit of news is refreshingly enlightening and original. 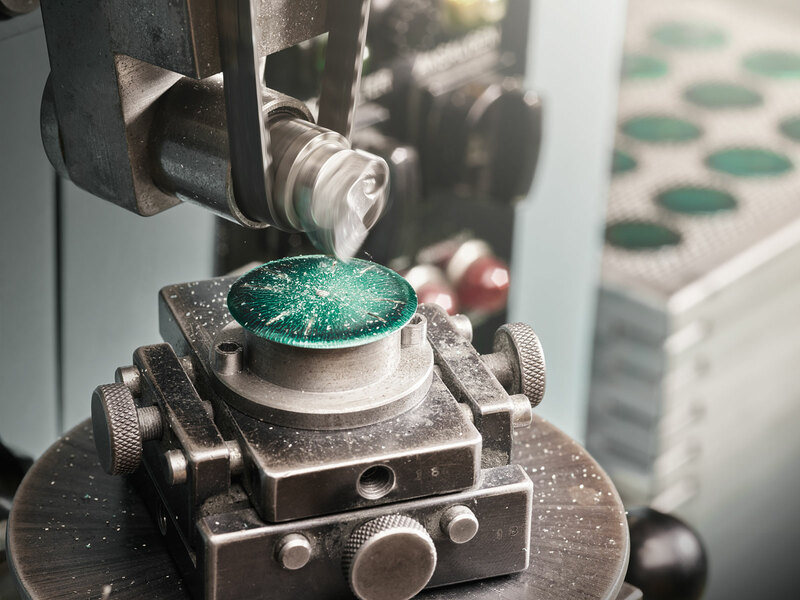 It details, step by step, the production of the unusual and striking dials found in the retro Sixties watches that are modelled on watches produced in the former East Germany. While the dial-making process is not unique, the stamped pattern on the Sixties dial is uncommon. 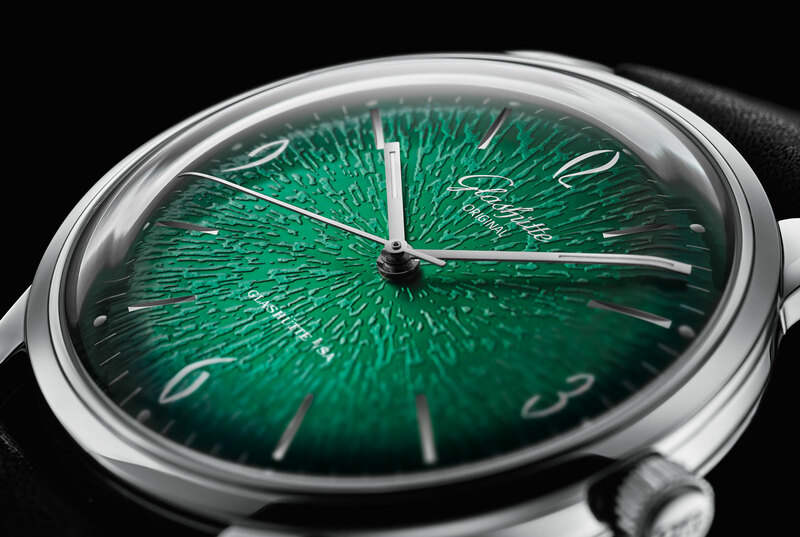 Originally available as a limited edition in a variety of finishes, the Sixties is now offered with a brilliant green dial decorated with a radial pattern that evokes water droplets. And this is how it’s made. 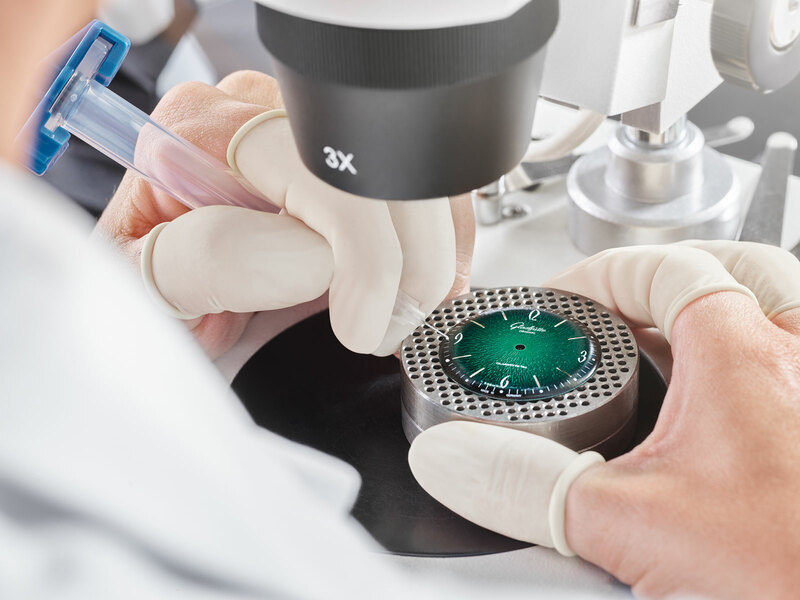 The birth of Glashütte Original’s dial-making prowess happened in 2006, when its parent company Swatch Group acquired Th. Müller, a dial factory located in Pforzheim, the historic centre of the German jewellery and clock industry. The Scheufele family that now owns Chopard, for instance, were originally jewellers from Pforzheim, which sits just the north of the Black Forest. Established in 1922, Th. Müller was once the biggest supplier of dials to VEB Glashütter Uhrenbetriebe (GUB), the state-owned watch factory in East Germany that was the predecessor of Glashütte Original. Renamed Deutsche Zifferblatt Manufaktur, the Th. 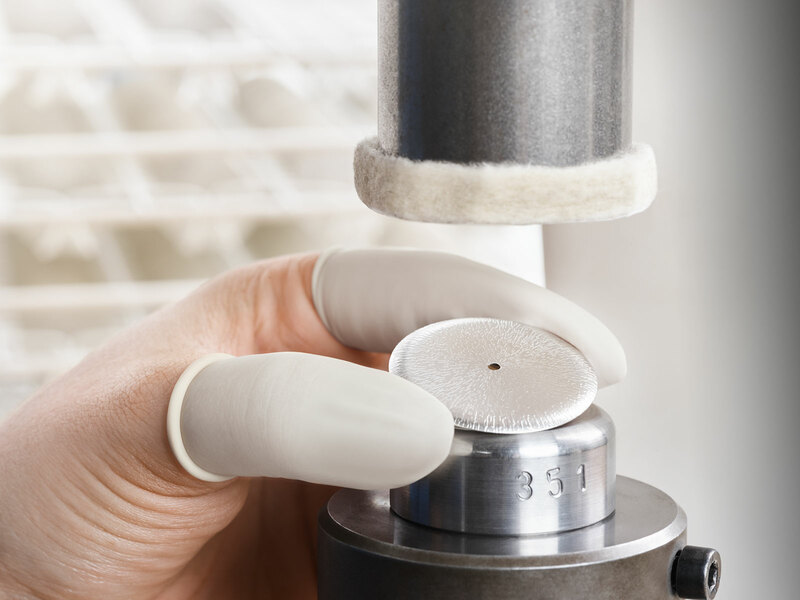 Müller factory was relocated, expanded and upgraded by the Swatch Group, and now supplies dials to several luxury watch brands, including for much of Glashütte Original’s output. 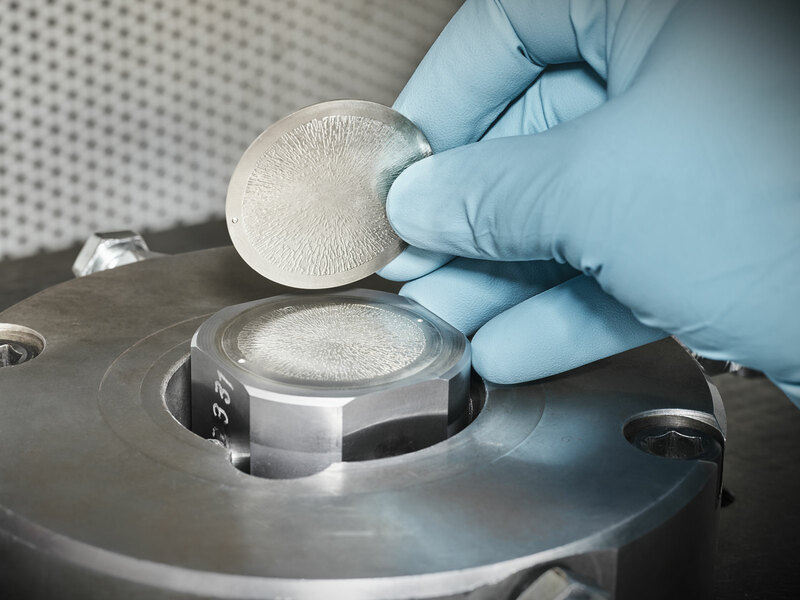 The process starts with a ribbon of German silver, an alloy of mostly copper with a bit of nickel and zinc that’s strong, corrosion-resistant and easy to machine. 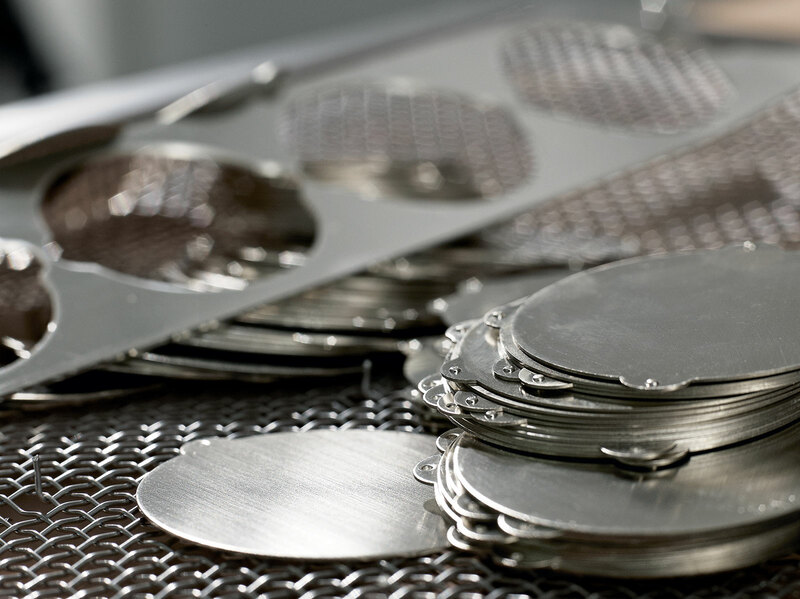 Of course the best known use of German silver, also known as maillechort or nickel silver, is for the bridges and base plate in the movements of high-end watches, most notably those of Glashütte Original’s neighbour, A. Lange & Söhne. A smooth round disc is stamped out from the German silver strip, forming the dial blank. Then the dial pattern is stamped with a 60-tonne press dating from the 1960s. In fact, the pattern stamping is done by the same machine that decorated the dials Th. Müller supplied to GUB before the Berlin Wall fell, explaining why the modern day Sixties dial looks so convincingly retro. Next the blank has the excess around the edge trimmed off, and a hole is drilled in its centre for the cannon pinion that holds the hands. Then it undergoes a second pressing operation that gives the dial its domed shape, just like on the 1960s originals. The domed dial on the vintage originals was to allow the movement to fit in a slimmer case, as the movements used then were quite small, some of the movement height could be accommodated by the dial. 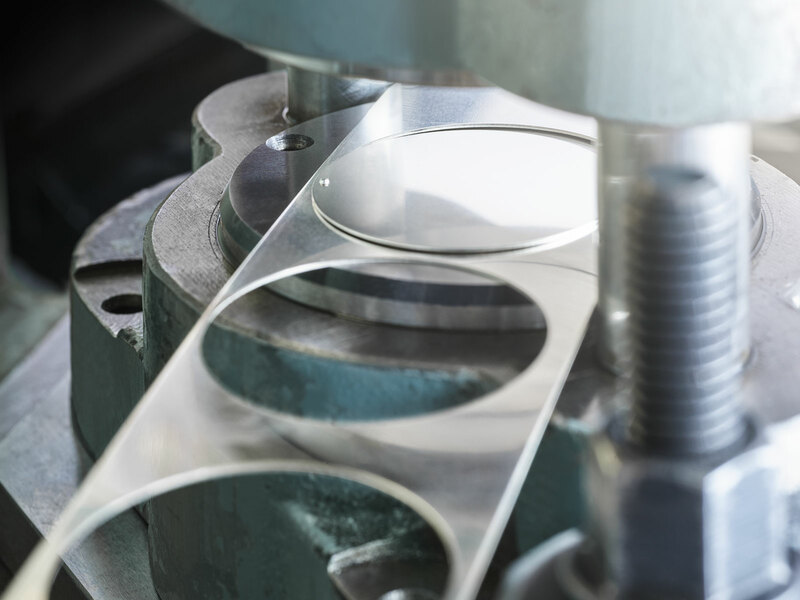 The dial, which is just 0.5mm thick, is then galvanised, given a layer of zinc plating that protects it against corrosion and oxidation. It’s then covered in several layers of green lacquer, followed by an artful application of black lacquer that results in its graduated colour that goes from bright green in the centre to black at its edges. The final step is a trip to the oven to set the lacquer and make the finish permanent. 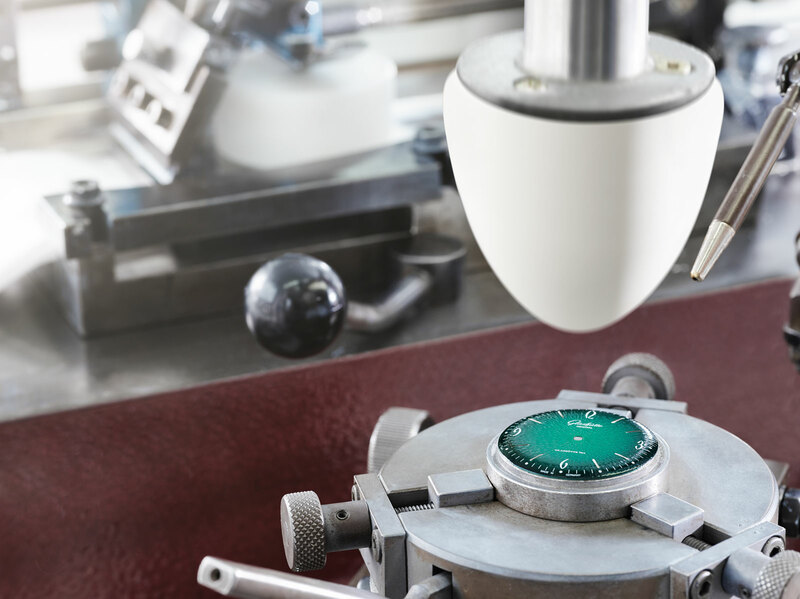 Eight hour markers are then cut from the dial surface with a milling machine, giving the dial its distinctive recesses for the indices in-between the quarters. Because material is cut out from the dial for the indices, it reveals the metal of the German silver below. The Arabic numerals for the hour markers at the quarters, as well as the minute track, logo and assorted text on the dial is then applied via pad printing. A printing pad made of silicone picks up the artwork in ink and then prints it onto the dial. And the last step is the application of glow-in-the-dark Super-Luminova – a small syringe is used to deposit a tiny sphere of Super-Luminova for each hour marker. The small process is also used to fill the hour and minute hands with “lume”. 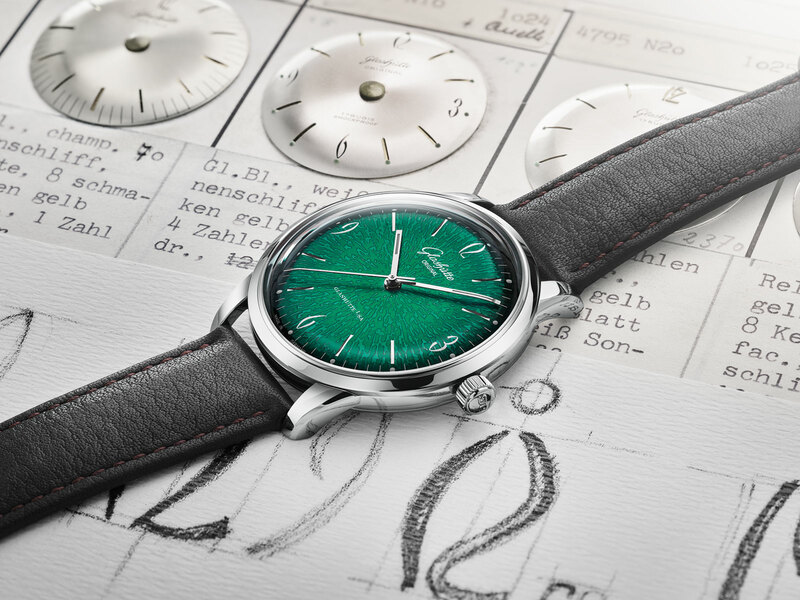 While the process above documents dial-making for last year’s Sixties Annual Edition in green, subsequent “annual editions” will feature dials produced in a similar manner, which should promise similar vintage flair. The German watchmaker's psychedelic watch dials produced with 1960s equipment return in a square case.